Time on Maine’s spellbinding coast has a way of resetting your priorities. 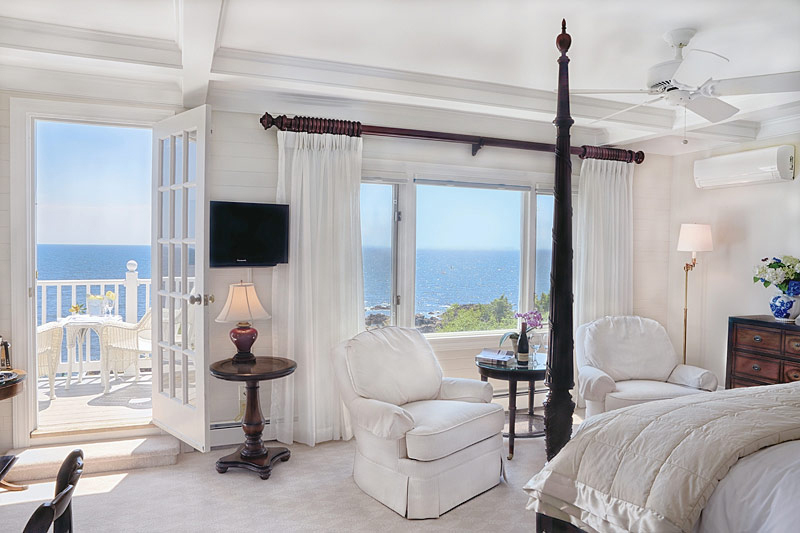 At the Cape Arundel Inn & Resort in Kennebunkport, shimmering ocean views, exquisitely prepared cuisine, and the indulgent sleep that always follows invigorating days by the sea set your transformation in motion. Getaways here on this picture-perfect point of land can be as private or as social, as active or as restful, as casual or as elegant as you dream. As our guest, you’ll have the devoted Cape Arundel Inn team at your service to handcraft experiences that are authentically Maine… authentically you. Your array of choices begins with accommodations at two distinctly unique, but equally sumptuous estates. 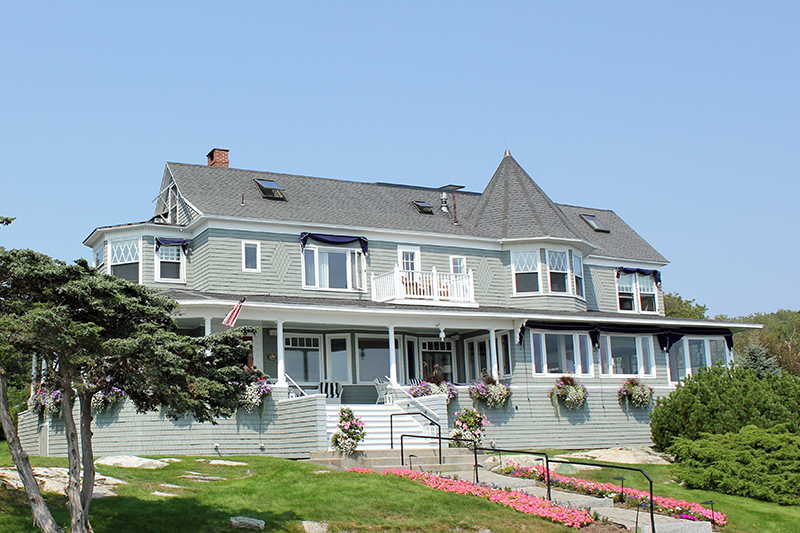 The landmark Cape Arundel Inn’s Main House on Kennebunkport’s exclusive Ocean Avenue is the gracious, oceanfront Victorian mansion so many Maine vacationers envision. The front porch and sloping lawn overlook the swirling, soothing Atlantic; its rooms and suites offer the perfect marriage of contemporary comfort and historic charm. Nearby, at the Club House at 8 Old Fort Avenue, guests enjoy the sophisticated vibe of a vintage manor tucked within 15 wooded acres. Each guest room here is a cozy retreat, each visit like coming “home” to a place that feels both timeless and chic. Distinctive amenities available to all guests include the Club House Lounge with its stone fireplace, classic billiard table, and turn-of-the-century bar; a heated pool with daytime dining and cocktail service on the patio; an abundantly stocked pantry; yoga on the lawn; complimentary bicycles; seasonal supper shuttle for chauffeured rides into town. Of course, we invite you to linger at the Main House and savor the fine dining experience—and panoramic water views—at Ocean restaurant. In the hands of an imaginative team, Maine lobster is elevated to an art form, and the seasonally morphing menu of fare from land and sea is inspired by the flavors of Provence and the Mediterranean. Stay at the Cape Arundel Inn & Resort, and you’re a five-minute scenic drive from Kennebunkport’s Dock Square, with its storybook storefronts and restaurants. And just minutes, too, from beaches, lighthouses, boat trips, museums and distinctly Maine adventures. We’re dedicated to anticipating your desires and ensuring you are as enchanted as we are, season after season, with this unforgettable destination. There’s a reason many of New England’s finest inns are within landmark buildings. Structures that have stood for a century or more have not just strong “bones” but a soul. Step through the doors of the Cape Arundel Inn & Resort, and you’ll be transported in wondrous ways. Our story begins when the railroad deposited the first “summer people” in Kennebunkport, Maine, and our enviable spot on the Maine coast became a cherished summer destination for elite vacationers.